Our oldest and one of the most popular brands, Texobond has been synonymous with our company. 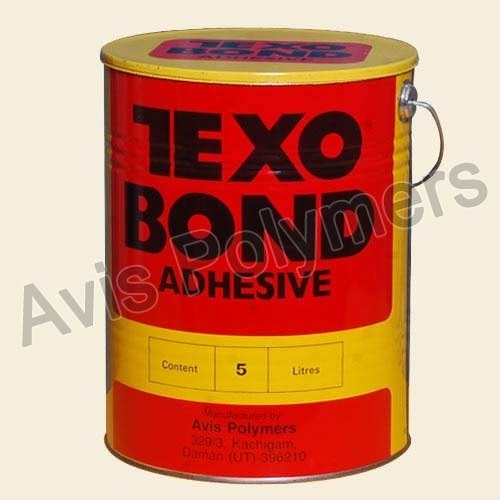 A quality multipurpose adhesive, it finds applicability in almost all industries using Synthetic Rubber Adhesives. Backed by a vast experience of 40 years, our firm is established in manufacturing, supplying, and exporting premium quality Adhesive Products. Our products range from Super-Premium SR Adhesives to Quality Multipurpose adhesives, Rubber Solution as well as Spray Adhesives These products are well known for their tensile strength, bonding power, viscosity and heat resistance. Our products find their applicability in various areas like footwear, furniture & upholstery, automobiles, railways & bus body, handicrafts, leather goods, air conditioner ducting and refrigeration industry. We are a customer-focused organization, which has dedicated all its efforts towards catering to the clients efficiently. The team of dedicated employees ensures that we manufacture products which adhere to the highest industry standards and practices. We are renowned for our ability to offer a continuous supply of our products to our customers. The logistics team has evolved a system which ensures timely delivery of our products throughout the country. Our single minded customer focus and commitment towards quality have earned us great respect and recognition amongst our peers and customers.